RAPID CITY, S.D. — Cheers and signs welcomed Trevor Tridle of Lead, SD home from the Special Olympics World Championships in Abu Dhabi Saturday afternoon. 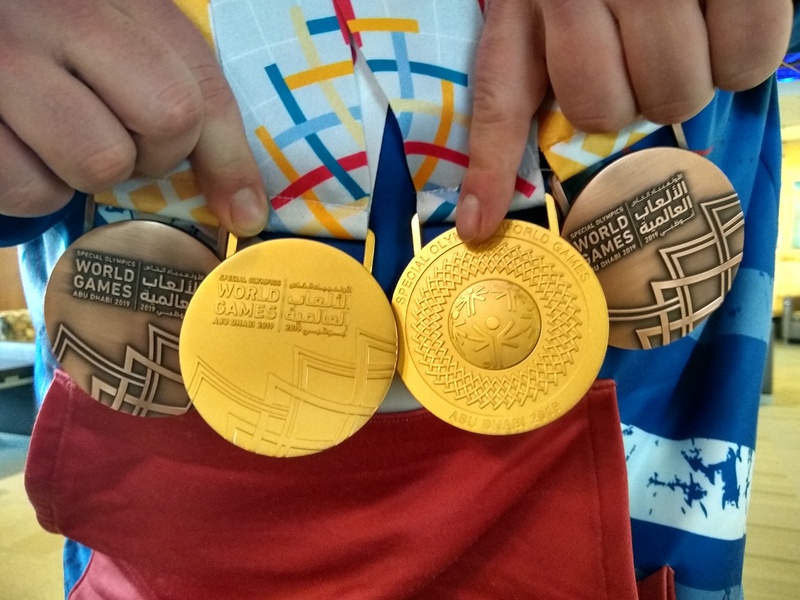 Tridle came back home with four medals in lifting — a bronze in both the squat and deadlifting competitions, a gold medal in bench lifting, and the overall gold medal in the power lifting category. The combined weight of 1,348 pounds from the tree events made Tridle the world champion. 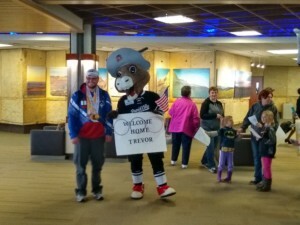 For his first night back Tridle enjoyed a Rapid City Rush game, where he received a standing ovation from the crowd.